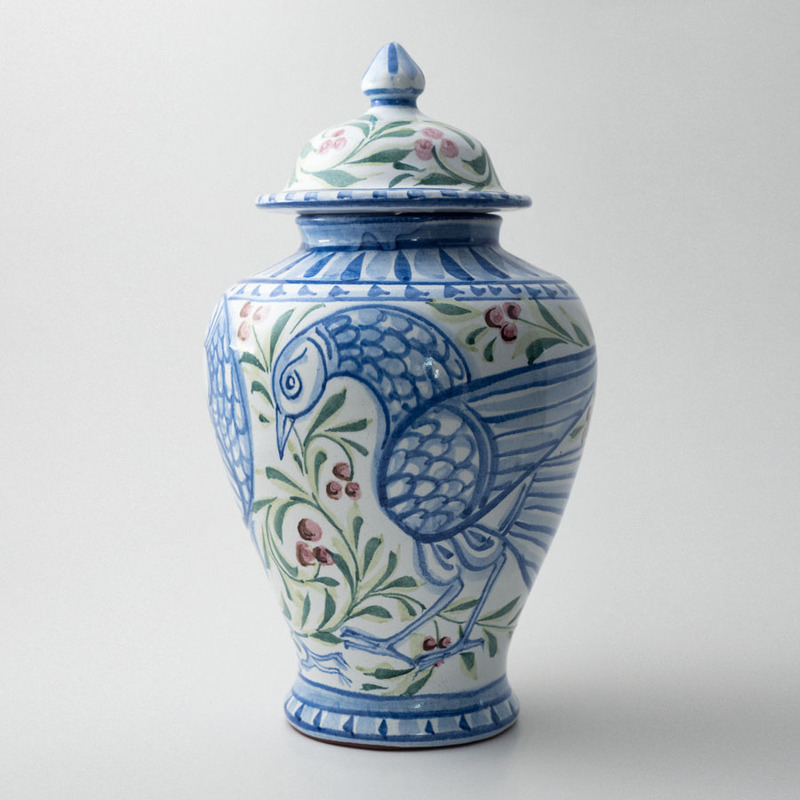 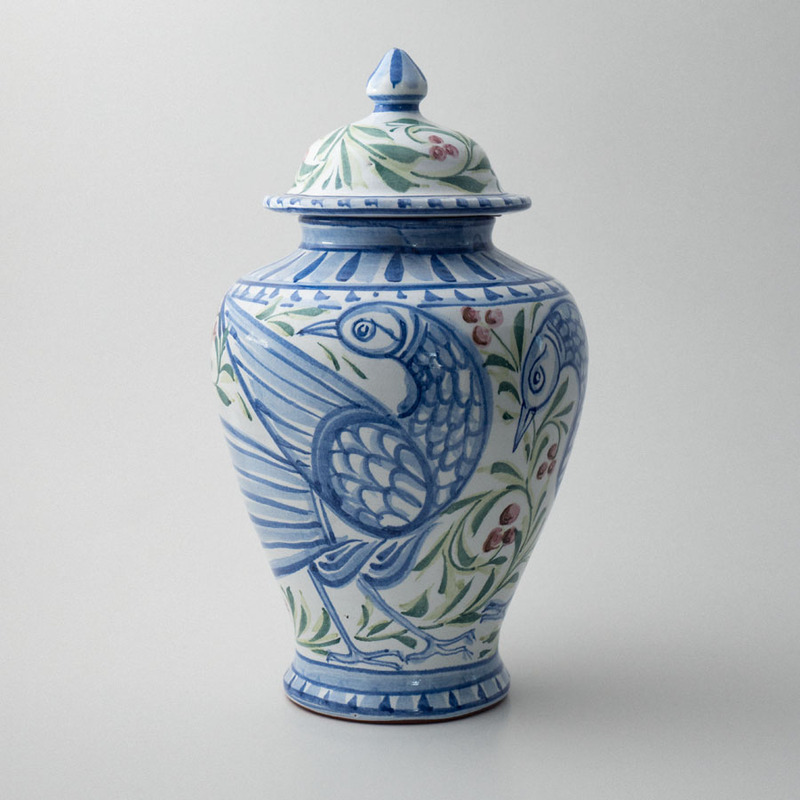 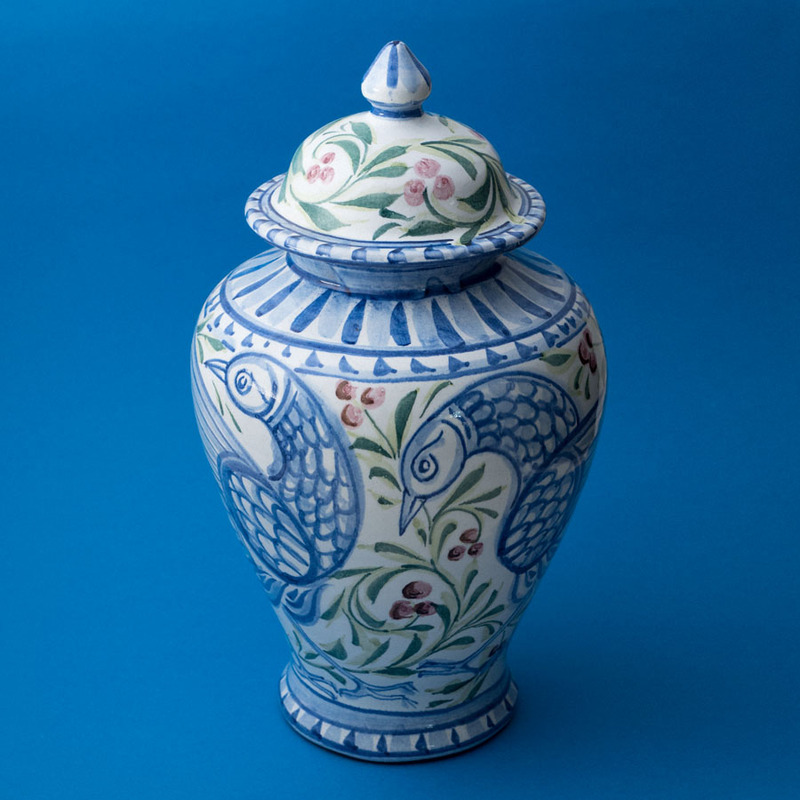 A beautiful hand thrown jar with a lid, decorated with green leaves, red berries and two playfully asymetric blue birds. 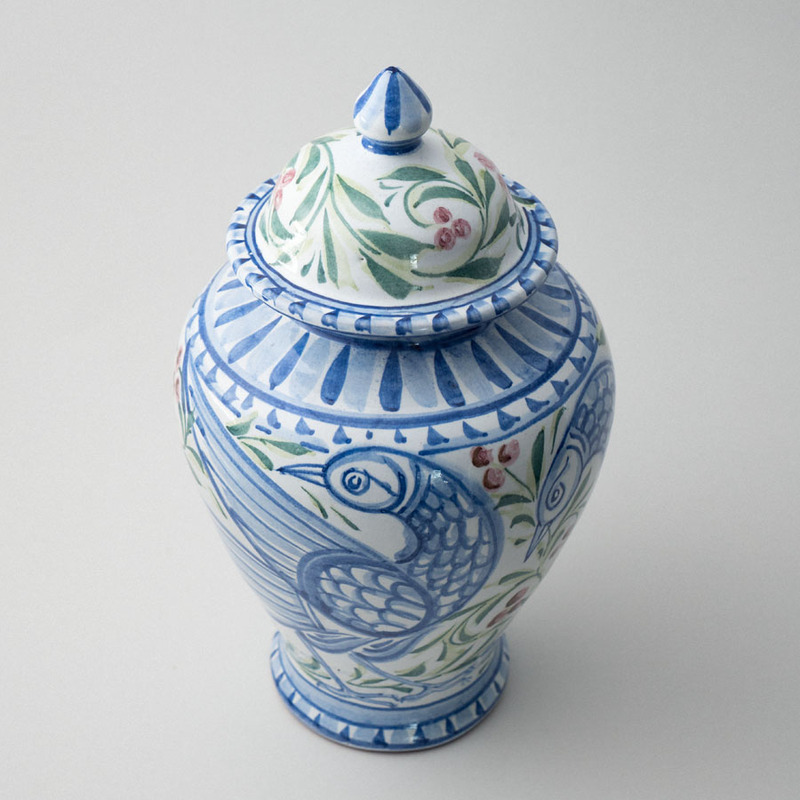 This pot was decorated by Juliet Swift and demonstates a mastery of painting on the curved form. 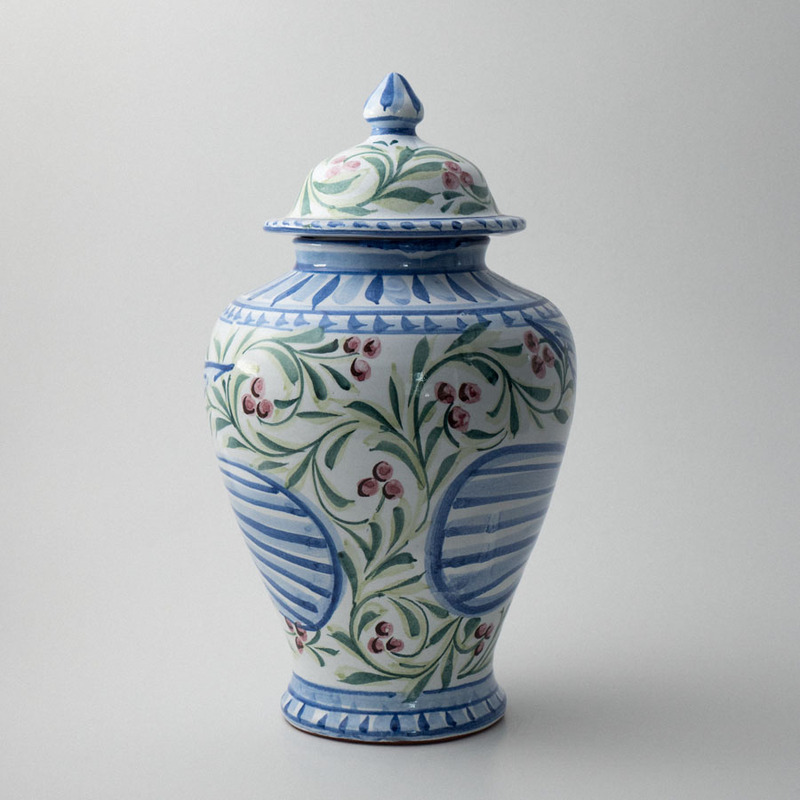 Approximate dimensions; height: 35cm, width: 19.5cm.